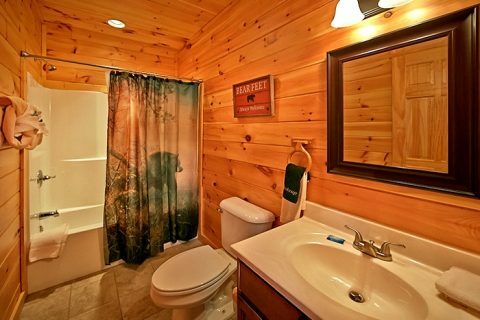 This Bear Cove Falls Pigeon Forge cabin rental comes with all the features and amenities you could imagine on your trip to the Smokies! 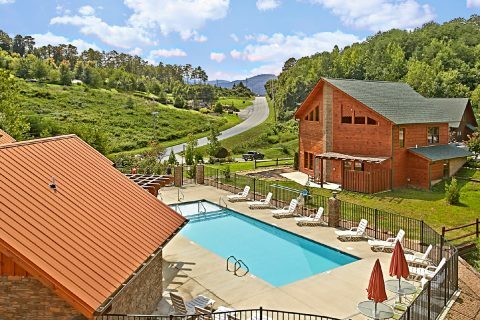 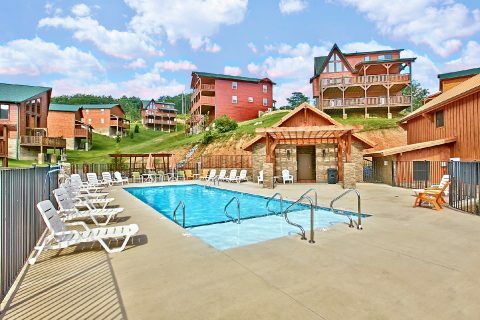 Located next to Dollywood and less than a mile off the action packed Pigeon Forge Parkway, this Pigeon Forge 2-bedroom cabin allows your family to easily venture to dozens of the area’s biggest attractions, restaurants, outlet stores and more! 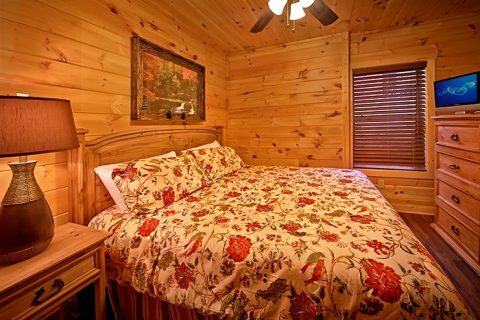 Sleeping up to 6 guests, "Snuggled Inn" allows the entire family to enjoy the scenic beauty of the Smokies in their spacious, open cabin rental in Pigeon Forge. 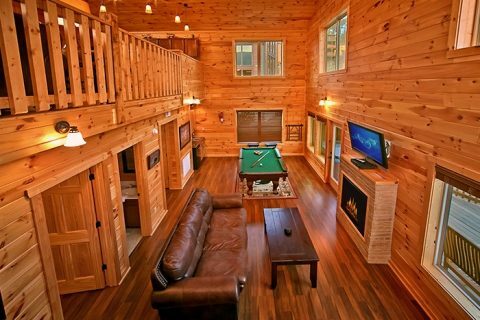 Step into the main level's lofted living area. 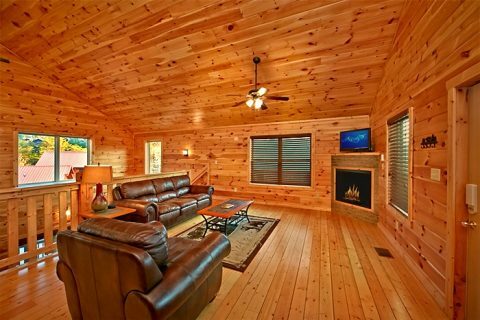 Cozy up to the electric fireplace in the cooler months on the living room's sleeper sofa, while the chef in the group creates culinary masterpieces in the elegant kitchen with breakfast bar and pantry. 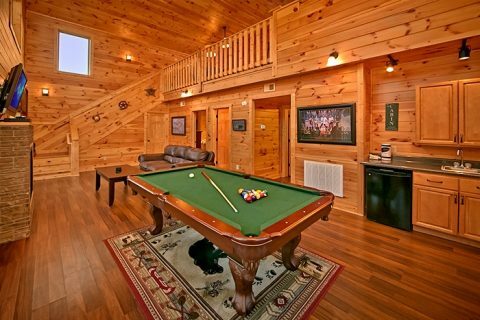 Descend the stairs into the den/game room area complete with pool table, kitchenette with wet bar, another fireplace, and television. 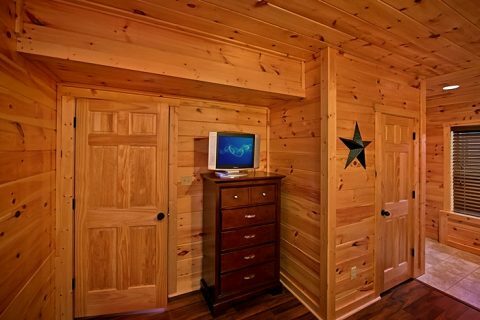 Enjoy the added entertainment of the cabin's Free Wifi Internet that allows you to stream movies on your laptop or tablet. 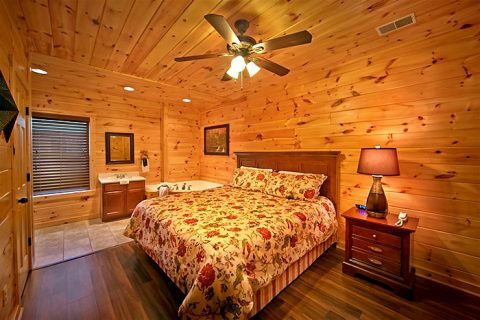 This Bear Cove Falls Pigeon Forge cabin rental offers plenty of outdoor fun as well. 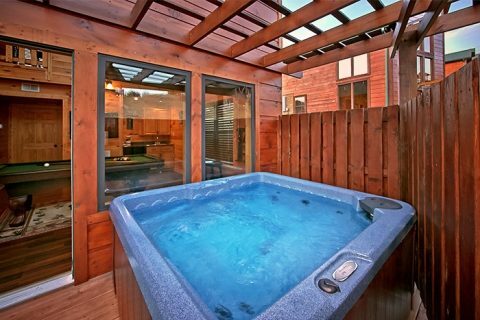 Enjoy relaxing in the warmth of the hot tub on the covered deck porch covered hot tub. 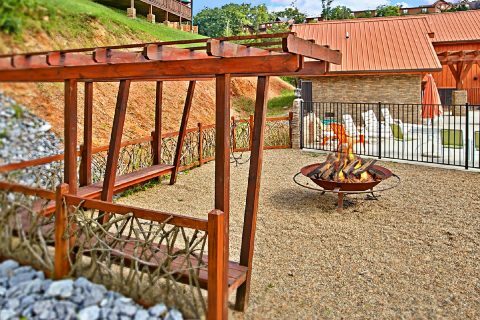 Host a cookout on the charcoal grill for smoky steaks and burgers. 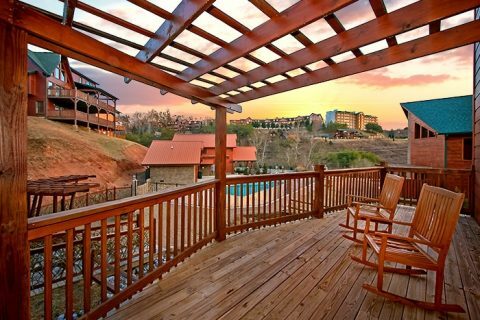 Relax and watch the sunset in one of the deck's rockers. 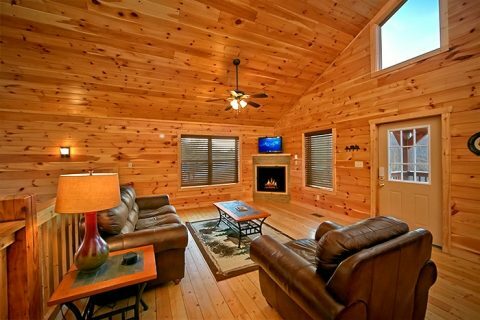 The outdoor fun doesn't stop at you Pigeon Forge cabin rental. 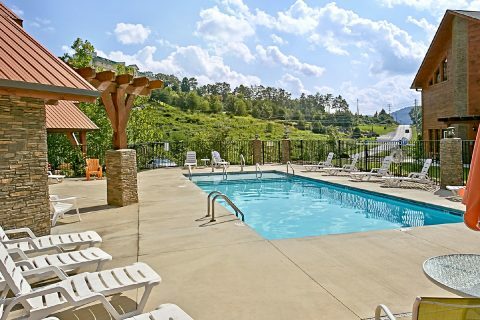 Head down to the resort's outdoor pool or a community fire-pit for memorable outdoor family gatherings. 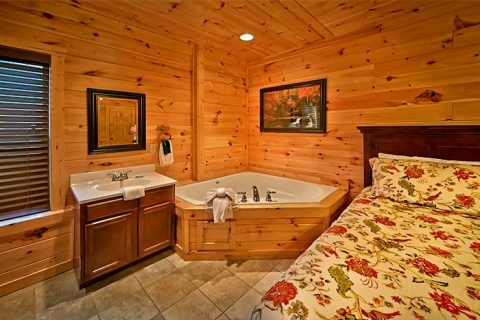 Play more with less time traveling when you stay at "Snuggled Inn" at Bear Cove Falls! 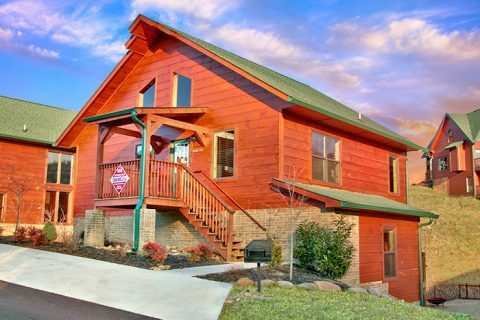 Remember, when you book your Pigeon Forge cabin rental online with Cabins USA you receive an Immediate Online Cabin Discount! 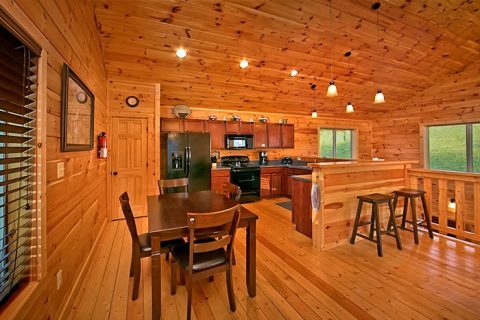 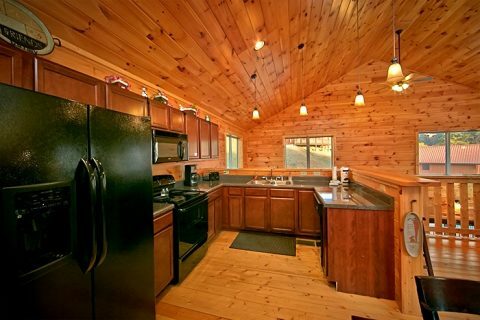 Discover this affordable custom-built luxury cabin rental and see how memorable your family’s Smoky Mountains cabin vacation can be!